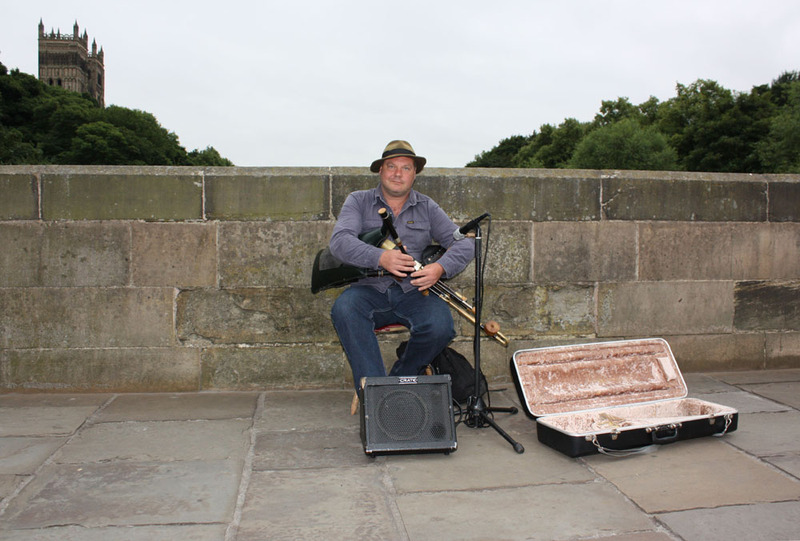 PAUL WHITE presents his entertaining analysis of Durham’s busking auditions which aim to vet the quality of buskers in the city, but who decides? An interesting item came up on my Facebook feed at the weekend. A couple of musician friends had both posted a link to a Change.org petition against a new way of regulating buskers that is being established by Durham Business Improvement District (BID). Neither of my musician friends actually busk, but they were vehemently against the idea. I read the introduction to the petition, found that I, too, agreed, and duly signed up. At the time of writing, it’s 22 names short of 1,000 signatories. The essence of the tale behind this petition is that Durham BID is bringing in auditions for people to secure six-month busking permit in Durham City. Currently, no such licence is required to do so. 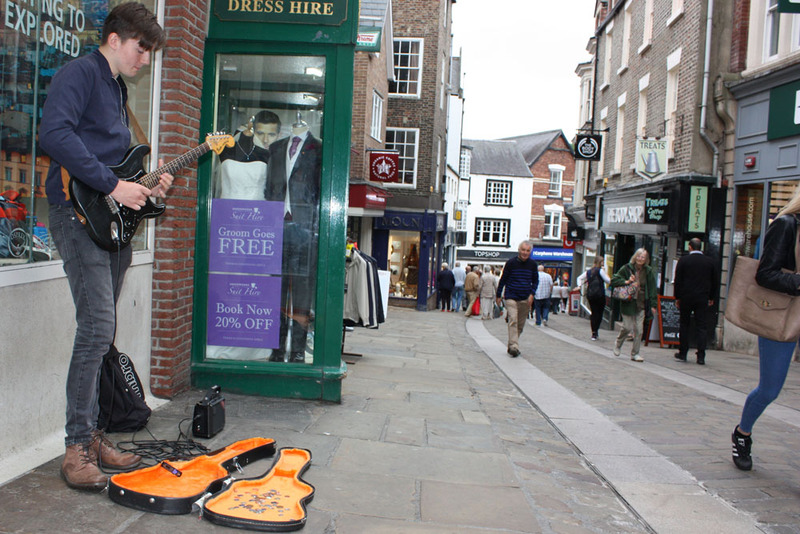 Having read both the petition and reports in the Durham Times, it seems that local people attending these auditions, alongside representatives of local businesses, the police, etc, will get to vote on which buskers get a permit. It’s either a straight yes or no from the “judges”. How demoralising for someone who has a bad night, or is just starting out to face rejection like that. Now, having seen who gets voted for on the X Factor, I’m horrified by this prospect. It always seems those talented artists who have worked their backsides off, busking away, playing to one man, his dog and a pool table in local pubs, and who have actually developed a skill set, far too often get voted off in favour of bland, manufactured music and “characters”. Can you imagine Jedward or Wagner lasting five minutes if they tried busking on Gala day? Interestingly, my England’s North East colleague, Dave Simpson, nipped down to the city centre and talked to some buskers. Irish piper Neil Chambers told Dave he wasn’t really against the licence, but his main concern is for the increasing use of pre-recorded music by buskers and I have to agree. Fair enough, if what this proposal does is eliminate that element of pre-packaged musical hell. Isn’t it better to put efforts into stopping those anti-social people who blast music out of their phones as they walk down the street, or as they travel on public transport? Perhaps they could legalise grabbing those phones from the offending individuals and smashing them into a million pieces. I digress. What I like about unlicensed busking is that it is, by its nature, rather self-regulating. If buskers are good, they will earn money and return. If they are terrible, they will not, with the possible exception of a busker many of you may be familiar with, who camps himself at the Newcastle side of the Millennium Bridge and is charmingly entertaining in his own inimitable way. It seems that the members of Durham’s business community who have created the issue by complaining about the noise must not be bothered by the actual noise itself, if the proposed resolution of the situation is for buskers to be licenced. Then it seems it may be a matter of taste and, surely, all these events are likely to do is change the style and, to some extent, quality of the performers. It’s swapping one noise for another and isn’t that just institutionalised discrimination? Should the petition fail and this goes ahead, I urge all fans of live music, the ones who go down their local when there is a band on, the ones who go to local festivals and open mic nights, to get themselves along to these events en masse and vote for the real talent they think deserves a slot. But then, if these acts can wow a real live crowd, do they not deserve something a little more than being sent to play outside in the Great British Weather? *The first Live InDurham busking audition event will be held at Whisky River on Thursday, August 18, from 7pm. Details are available at www.durhambid.co.uk/live.